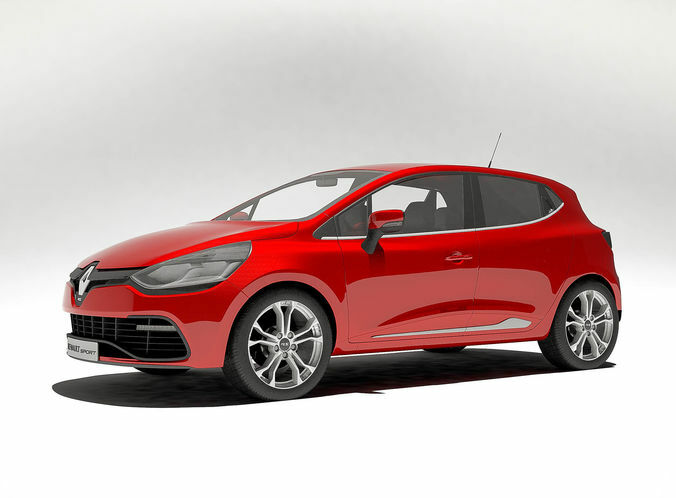 Clio Renault RS Model 2014 - 3ds Max 2014 Render Vray 3.0 export fbx/3ds/obj In 2016 Renault released a face-lifted version featuring new LED headlights and other minor improvements. There's also a Trophy version that has an improved engine that produces 220 PS (217 bhp; 162 kW) and 280 N⋅m (207 lbf⋅ft)  In 2018, Renault released a limited edition R.S. 18. This model is only available in black with livery inspired by the colour scheme of the company's Formula 1 race car.